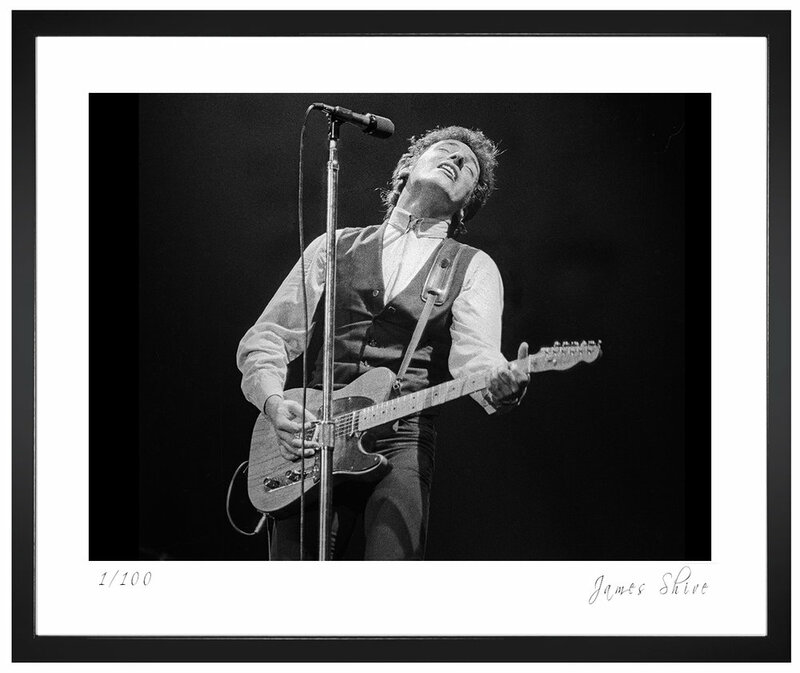 Photographer Jim Shive, this 16” X 24”ia an absolutely unforgettable images of Bruce Springsteen holding his mighty Fender Guitar. A similar image was featured on the cover of Backstreets Magazine from back in Fall of 1986. Over the years, I have had the immense pleasure of being able to get up close and personal with my camera, photographing Bruce Springsteen & the E Street Band. In particular, it was especially unique fun to be in the presence of "Big Man" Clarence Clemons and a presence he was. BIG in stature, BIG in sound, BIG in personality, Clarence rocked the lens of my camera time and again, leaving me with indelible memories and images. Back in 2011 I'd been honored to have my photographs appear in Rolling Stone magazine in Memoriam of Clarence. So, to remember this iconic musician who belongs not only to the the E Street Band but to the world, I offer this rare image created on the original Darkness tour. The Minister of Soul, The Secretary of the Brotherhood, The One, The Only, Clarence "Big Man" Clemons.